Deadend insulators are designed to support conducting cables in tension or suspension with one side fixed to a pole, cross arm, or guy wire. 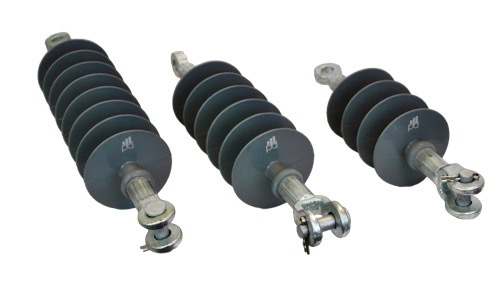 Peak Demand’s Summit SeriesTM Composite Deadend Insulators (CDI) are engineered to exceed the industry standard for Specified Mechanical Load (SML) by more than 50% by certifying our units to a rating of 70kN, when the industry standard is a mere 44.4kN. Peak Demand CDI’s are constructed to withstand harsh grid conditions with high-strength fiberglass rods and hydrophobic silicone polymer molding. 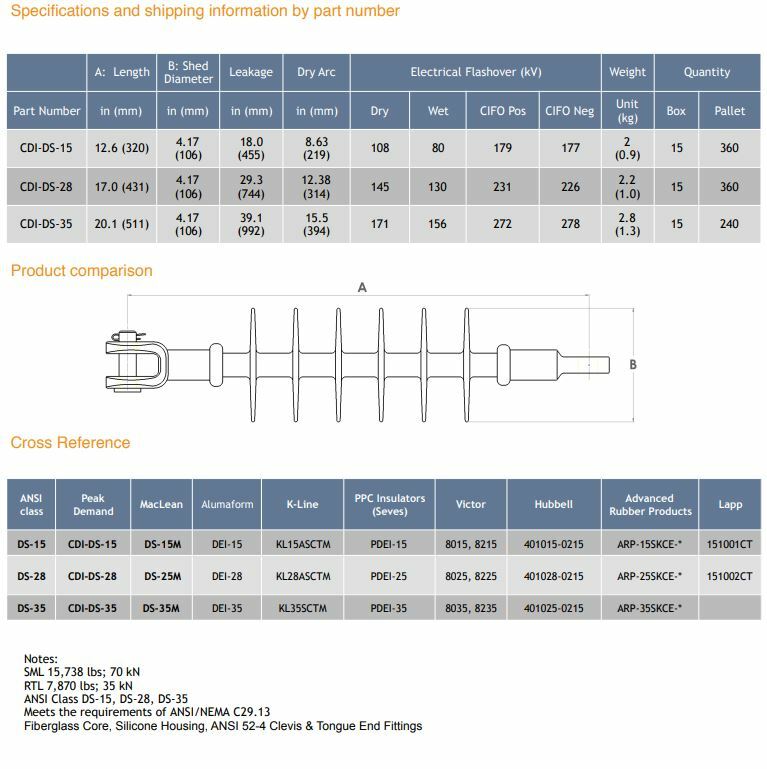 Our high pressure manufacturing process ensures complete adhesion of the polymer to the inner fiberglass rod without voids.